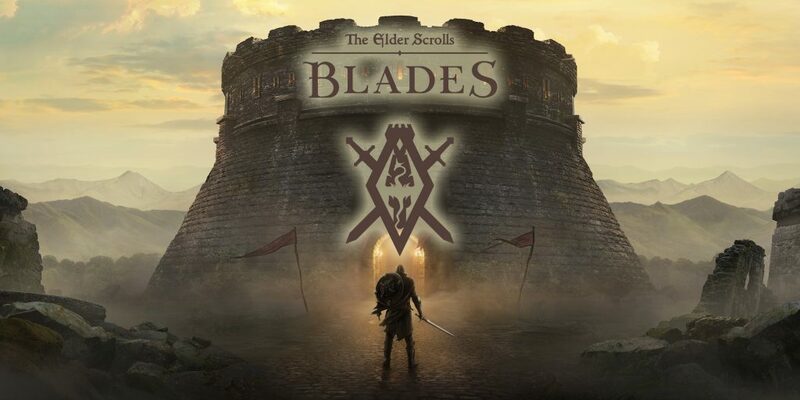 After months of being teased by Bethesda, The Elder Scrolls: Blades is finally here! I got my Early Access pass, jumped in, and was immediately blown away by what I saw. The graphics are unreal for a mobile game, something you really must see to believe. It’s not a perfect game by any account, in fact, it’s pretty far from it, but it is only in the testing phase for now. Let’s go over what I saw, what I thought, and how I think they can make things a little better, because I’m sure Bethesda is just waiting with bated breath to read over this, so let’s get started. First of all, we should clear one thing up real quick. Tod Howard, Director and Head Exec of Bethesda, stated that this would be a true Elder Scrolls experience on the fly. Given what I’ve played so far, It’s lead me to believe that he’s never actually played one himself. I think it’s important to note that if you’re a fan of the Elder Scrolls games, you should probably forget everything you know and everything you expect from an Elder Scrolls game before jumping in. Vast worlds have been replaced with linear maps, the familiar combat system is now a strange icon mess, and freedom of choice has been replaced with no choice, bland dialogue, terrible timers, and a depressing pay-to-win system. Treasure chests are how you obtain the bulk of your heavy-hitting gear. You find these chests in dungeons, and because there isn’t a lock picking skill implemented in the game you must instead wait anywhere between 5 seconds and upwards of 12 hours to open them! This system is completely broken. You’re going to get a ridiculous number of silver chests, not have the option to drop them, reach the limit of chests you can own (yea, there’s a limit), at which point you are forced to choose between abandoning chests or pay to open them instantly. Let’s dive into the technical aspects of the game. You decide how to play; vertically to keep one paw free, or rotate it 90 degrees for that beautiful widescreen view. I found the vertical view to be incredibly limiting, to the point of having a mild claustrophobic breakdown. You also have the option of playing with virtual sticks or pointing to where you want your hero to move. If you go vertical, you’re limited to just the point-and-click method, which makes using that mode of play even less appealing. As for bugs or crashing, I have to say I was pretty impressed with how well the game held up. I was playing on an iPhone X and experienced no issues. If I had to nitpick, when tapping on an NPC to talk, or a location I want my character to go to, he would decide he has better things to do with his time and go off on his own down a completely different path. When I first saw videos for Blades, I was disappointed that the combat didn’t resemble something more along the lines of Infinity Blade. Perhaps swiping across the screen to make your character slash, and holding down a tap to block. Instead, they went for a tap to slash approach. It’s not satisfying, but it’s not terrible. Everything else, skills, spells, and items, are done via an icon. This can make the screen feel pretty cramped, especially in vertical mode. The Abyss is an interesting concept; you’re placed in an endless dungeon full of enemies that get harder and harder the further down you go. It’s a great way to focus on just the dungeonering and murdering aspects of the game without worrying about rhyme, reason, or purpose. However, all the interactable objects have been removed. You’re just running and gunning, forever, through very similar looking environments. It gets tedious fast, with minimal payout. That segues into my next issue, after going through the three or four dungeons types they have available, you’ve pretty much-seen everything. The game is so repetitive and linear that after a few hours, I was falling asleep behind the wheel. Not only do the settings all look alike, but whole rooms, objects placed in the same locations, even entire dungeon layouts! It’s copy-paste, paste, paste. The story is bland, and again, choices have no real effect that I could see. Dialogue is much like the dungeons, with annoying copy-paste personalities. With every new iteration, Bethesda seems to water their games down more and more, and now we’ve reached the point of a self-inflicted drowning. Overall, this is the exact opposite of what an Elder Scrolls game should be. It’s missing so much of what makes the series great and replaced it will low-blow cash grab mechanics. Elder Scrolls Blades, another sad victim of corporate greed. Depending on what the developers do, or do not change, come full release will determine whether I decide to stick around or just delete it off my phone for good.